The Gardens Casino today announced the soft opening of its new $90 million facility. The project, which began in March of 2014 and will be fully completed later this year, spotlights The Gardens Casino’s dedication to provide an elevated gaming and dining experience to its guests. Included in the brand new, state-of-the-art venue are the addition of more than 220 new flat-screen televisions, new game tables, enhanced amenities, a new events center, and an upscale bar and lounge with handcrafted cocktails, locally sourced wine and over 24 California craft beers on tap, along with a premium casual restaurant with seating for more than 100 guests. The key component of the new casino is the construction of a state-of-the-art 200,000 square foot venue housing up to 100 new card tables, which brings The Gardens Casino’s total capacity to more than 300 tables. The two-story building also features special amenities, including a 12,365 square foot meeting and events space where The Gardens Casino will host a variety of public and private events. Led by Food and Beverage Director Peter Lydon, The Gardens Casino’s premium casual restaurant will feature a variety of cross-culture fusion foods, which integrate California’s robust selection of seasonal, fresh and sustainable ingredients. The menu touches on a variety of cuisines, ranging from Vietnamese and Thai to American, Mexican and Italian. Prior to the opening of the new casino, The Gardens Casino welcomed 5,000 to 7,000 guests each day for gaming and dining experiences. The $90 million renovation is expected to increase guest capacity by up to 50 percent. Additionally, The Gardens Casino plans to add 400 new jobs to its current workforce of more than 1,800 employees, serving as the largest employer in the City of Hawaiian Gardens and the surrounding area. The Gardens Casino is committed to being a responsible corporate and community citizen and supports a number of local organizations including the ABC Unified School District, Tri-City Health Group, Children’s Hospital (Long Beach and Orange County), and Hawaiian Gardens holiday events and youth sports, among others. The Gardens Casino believes that its success depends upon the sustainability of its local communities and is dedicated to giving back. 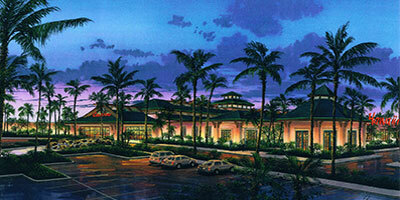 The Gardens Casino welcomes guests to visit the new casino for an elevated experience in California card playing. The new casino’s soft opening began earlier this month, with full construction of the outdoor areas and additional parking lots slated for completion later this year. For additional information, contact The Gardens Casino at (562) 860-5887 or visit the website at www.thegardenscasino.com. Known as the “friendliest card club” in the Los Angeles area, The Gardens Casino has been one of LA’s premier card clubs for more than 19 years. The new state-of-the-art venue offers guests over 300 tables, luxury VIP amenities as well as a premium casual restaurant and an upscale bar and lounge. The Gardens Casino has been integral to the Hawaiian Gardens community, supporting the city with jobs and economic contributions. For more information on The Gardens Casino, visit www.thegardenscasino.com.